Metro is hosting a series of free workshops to inform artists about a wide variety of upcoming opportunities and how to apply for them. The informational workshops are for artists only and will be held in February and March at locations throughout LA County. Each workshop will cover the same information. Reservations are required as space is limited at some locations. Please read below for workshop dates and locations, and click on the links below to reserve your seat, and get transit and parking information. Please note that Metro will not be able to validate parking for any of these events. Accessible via bus lines: Metro 20 & 720 on Wilshire and 217, 218 and 780 on Fairfax. 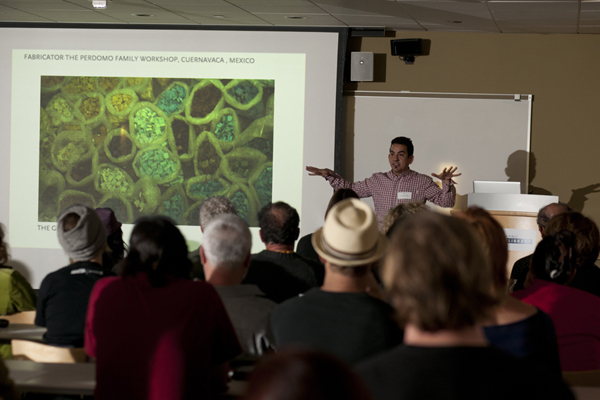 To join our email list for information about upcoming opportunities for artists, call 213.922.4ART or visit wwww.metro.net/art and click on “Artist Opportunities”. All Metro meetings are held in ADA accessible facilities. Special accommodations are available to the public for Metro-sponsored meetings. All requests for reasonable accommodations and translation must be made at least three working days (72 hours) in advance of the scheduled meeting date; please call 213. 922.2726 or California Relay Service at 711. On Valentine's Day Metro is pleased to present…Speed Dating on the Red Line! Metro needs to place more emphasis on IMPROVING BUS LINES, not on wasting taxpayer dollars on “public art” on future construction! Whatever system is used to indicate the bus lines that serve a particular location, it needs improvement. Many of these places are served by additional routes from the same “Muni” (not everyone is coming to the Santa Monica event from Downtown Los Angeles) or are served by additional “Munis”, for example, Norwalk Transit also serves Rio Hondo College. Chill out, Scrooges. I want to live in a city that works well *and looks good*. Attractive public facilities are more likely to be used by the public. A city that takes pride in itself is more likely to attract the people you want living here. And you might even enjoy living in it a little more. You want to live in a city whose Metro system looks goods? Go try out the Pyongyang Metro. That’s the ultimate grandeur of wasteful spending of the people’s money where their subway stations are filled with luxurious marbled floors and chandeliers, all the while people in North Korea are starving to death. 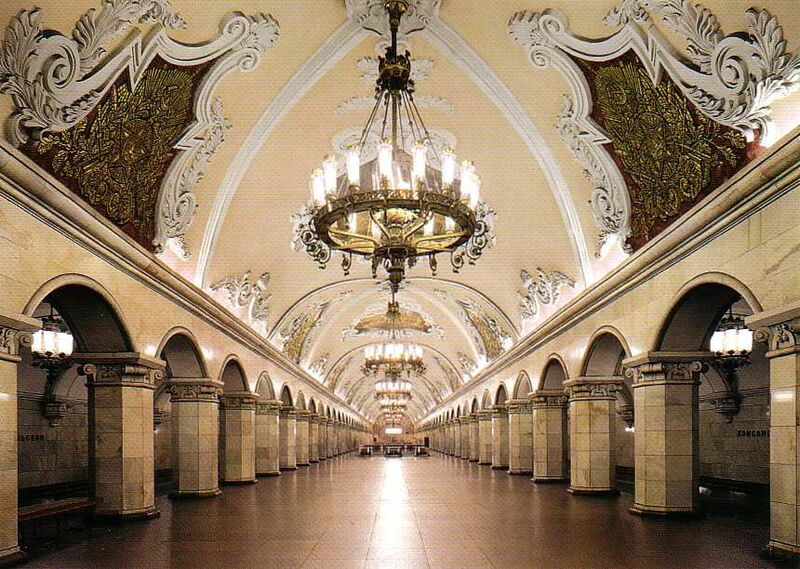 Or how about the Moscow Metro which was built during the Soviet Union? Another fine example of wasteful spending of luxurious grandeur when millions of people were dying of famine under Stalin. Metro has better things to do with our tax dollars than waste money on art. We’re not Pyongyang and we’re not Moscow. They can add art later when they use the money on what’s important first. Like more restrooms, signages, gates, security and add in shops and restaurants. Metro needs to get their priorities in order. Add stuff that’s important to the public transit needs first, then add art later. Not the other way around. I could not agree with this sentiment more! If the MTA put HALF as much money into “art”, as it does into “rehabilitating” Union Station, Bus Division Yards, and all other “infrastructure” that DOES NOT MOVE, then public transit in L.A. County would be WORLD CLASS, not THIRD-CLASS! If Metro allocated some of their useless art to USEFUL art like artful no smoking signs, stand to the left signs, no littering posters, you must TAP to board panels, exit this way to Flower St. signs, then it would be doing two things at once. The current artwork has absolutely none of that. If Metro has a budget to pay for poor starving artists, why don’t they use that art budget so that the poor starving artists can use their creativity to do something that’s helpful to transit riders? Who says art can only be some splashes of paint or some cubism art that you only “get” when you’re high on pot? Art can be public relations posters, it can be no smoking signs, it can be stand to the left posters, it can be TAP cards, it can be USEFUL! Use our tax dollars wisely Metro! We’re not paying taxes so you can do whatever you want with them with no plan or whatsoever! Wasting taxpayer dollars on art. Running Metro Rail under the honor system. Millions in lost revenue over the years. Massive cuts to the bus system. Rail projects that extend out past our county lines. Huge pension packages for public employee unions straining our budget. The highest sales tax in the nation. And a flat rate fare hike. Metro is completely out of control. We need to bring back sanity to this corrupt government agency. Nothing a detailed complaint to the “Joint Legislative Audit Committee” should not fix, but even THEY are not interested! Maybe they are on the take too!